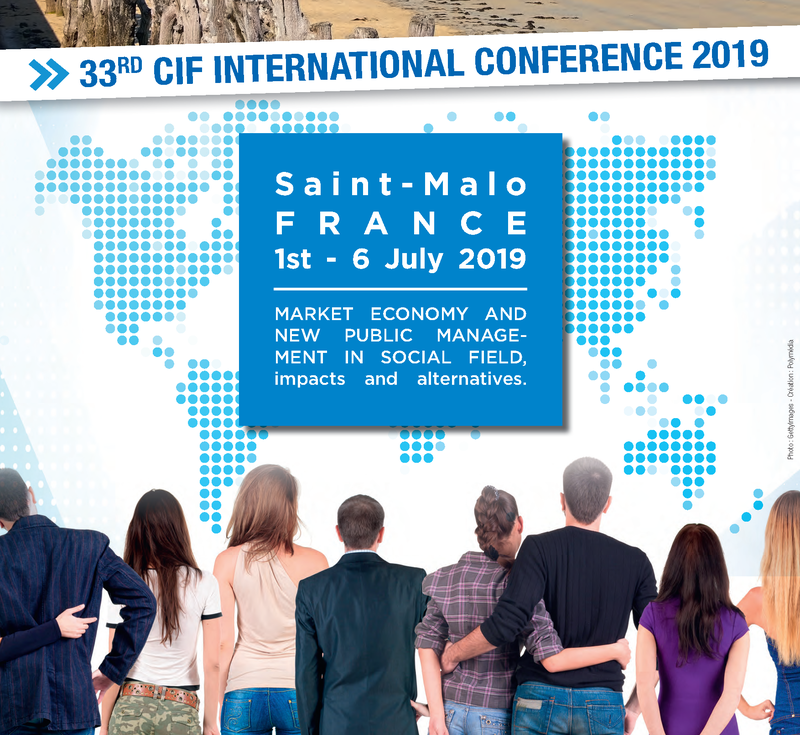 CIF France has the great pleasure to welcome the 33rd CIF conference in Saint-Malo from July 1st to July 6th, 2019. We hope this website will answer your questions concerning this coming event. The venue – the city of Saint-Malo is a tourist resort that we will take the time to present and visit. The Centre Varangot will host the conference. Hotels within walking distance will complete the accomodation to meet the needs for single rooms, as they are very few in the Centre Varangot which is a youth hostel. The theme of the conference Market Economy and New Public Management in social fields, impacts and alternatives will offer us the opportunity to bring together experiences and initiatives to pursue our professions in a social field more and more submitted to financial constraints and profitability.